Clean dishes start with better built parts. 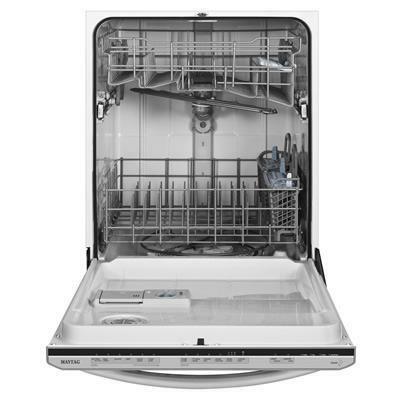 This is an ENERGY STAR® qualified dishwasher you can count on. There's no need to rinse off dried-on food thanks to the ToughScrub™ option and a powerful 4-blade stainless steel chopper. For even more cleaning power, the Jetclean® Plus Steam cycle blasts off food particles with high-pressure spray jets and then adds the finishing touch of steam to clean and reduce spots on glassware. 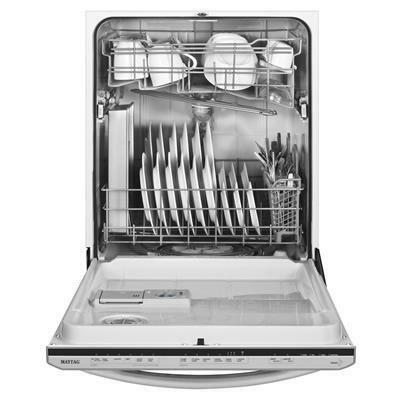 The Auto Clean cycle also uses sensors that monitor soil levels to help get dishes clean. Plus, the fully integrated controls offer a contemporary look that matches any kitchen. Additional Information 4-Blade Stainless Steel Chopper; ToughScrub™ option; Steam Sanitize option; Hi-Tempurature Wash Option; QuietSeries™ 200 Sound Package; Oversize Capacity Plus tall tub; New Premium Dark DuraGuard®Nylon Racks; Split & Fit™ silverware basket. 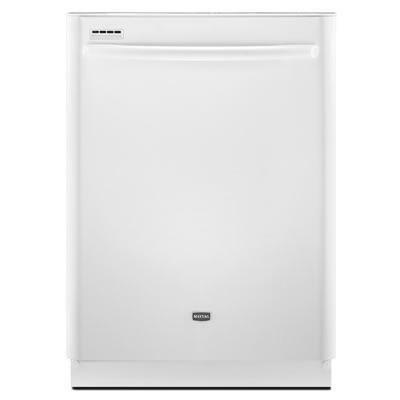 Additional Dimensions Maximum height: 34 1/2(87.63cm); Minimum height: 33 7/8(86.04cm).